In the last few articles, the earliest feelings of your baby have been described — feelings that are actually built-in by the time your baby is born. 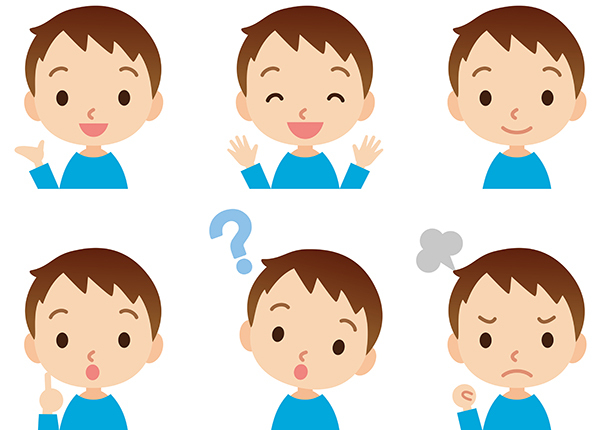 There is some scientific controversy about how many primary feelings exist, but, as noted previously, the best model suggests nine feelings: interest, enjoyment, surprise, distress, anger, fear, shame, disgust (reaction to toxic tastes), and dissmell (reaction to toxic odors). Now, how do these feelings work? Try putting aside everything you have ever learned about feelings before! Surprise, fear, and interest depend on the speed of the in-coming stimulus. Any stimulus (noise, light, etc.) which comes in very fast will cause the baby to be surprised (and to show that facial expression). If the stimulus comes in a bit slower, the baby will register fear. And if the stimulus comes in still more slowly, interest is seen in the baby’s face. Previous posts show these expressions. Think about it in terms of the baby’s brain needing time to process the incoming information, and showing these various expressions as it does so. This model also takes into account individual differences between babies, because different babies will process different information at different rates. Example: Several young children are walking to a auditorium somewhat near an airport. Suddenly, there is a loud noise, and the children jump, their faces showing a surprise reaction; moments later, their faces show the fear expression; and then, as they look up and realize the noise was caused by an airplane flying low over the rooftops, they manifest the interest expression. These feelings, or “affects”, can occur very quickly – milliseconds. Distress and anger do not depend on the speed of the in-coming stimulus, but rather on the amount, or quantity, of the stimulus. Any stimulus (again, light or noise or pain or whatever) which is too much for the baby will cause the distress reaction. If this stimulus becomes greater or is sustained too long, the anger reaction occurs. This is very important for parents to understand … the anger of a baby (and adult!) is simply excessive distress, a “too muchness”! Think of adults: too much stress leads to distress; even more stress leads to irritability and anger. Also, too much of any negative feeling can lead to anger. Example: Your young child runs into the street. When you catch up to him, you are mad. Why? Because your fear and distress were triggered and heightened, and then morphed into anger. Enjoyment is signaled by a decrease in tension. Think of how you feel when you are distressed or scared of something and the issue is resolved. Shame is a reaction to the interruption of interest and/or enjoyment. Example: The baby is in her high chair with a cup of milk in front of her. The parent leaves the room, and the baby begins playing with the milk…it smells good, tastes good, and looks neat as it splashes out of the cup; she lifts the cup up and slowly begins pouring it out, making a wonderful white waterfall — and then the parent walks in again! “What in the world are you doing?” her parent may yelp, and with this interruption of the baby’s interest and exploratory activities, the baby’s eyes may drop, head avert, and shoulders slump, in the classic expression of shame. So try thinking about your and your baby’s feelings in this different way. Adults have these feelings too: these nine feelings combine with each other and with experience to form our more complex adult emotional life. The following readings give more examples and pictures, and, for those who are interested, convey some of the complexities of this model. Holinger, Paul C. (2003) . What Babies Say Before They Can Talk: The Nine Signals Infants Use To Express Their Feelings. New York: Simon and Schuster. Holinger, Paul C. (2008). Further issues in the psychology of affect and motivation: A developmental perspective. Psychoanalytic Psychology 25:425-442.